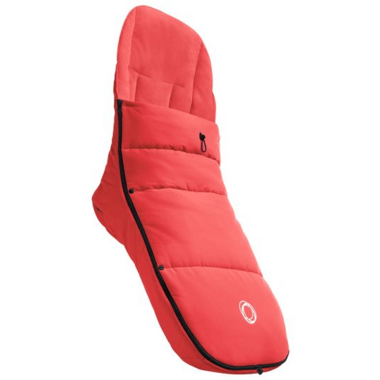 The Bugaboo Footmuff keeps your child warm, protected and adds a dash of colour to your stroller. The fabric is treated with bamboo charcoal that wicks away moisture and keeps your child dry and comfortable. The cover of the Footmuff can be partly opened, or completely removed when it becomes too warm. A range of colours allow combinations that suits every mood and style.